Gov. Mark Dayton and Republican leaders of the House and Senate began the 2012 legislative session with a goal of creating jobs. But after more than 10 weeks, the two sides have yet to agree on how to do so. As the Democratic governor and the Legislature break for the Passover and Easter holidays, instead of focusing on the best path forward, they're quibbling over who's to blame for a lack of progress. "We all agreed at the beginning of the session was our number one priority was jobs and I haven't see any jobs bills come to me," Dayton said. The governor's official website has a clock on it counting the number of days that have gone by in the session without the legislature passing a jobs bill. Dayton's jobs plan includes a public works bonding bill, a new Vikings stadium and a tax break for businesses that hire veterans and recent college graduates. He complained that lawmakers have not passed any of those proposals. "At this point, I think they left a lot undone that they said was a top priority," he said. When pressed, Dayton said a bill that would streamline environmental permit approvals for businesses could help job creation. But he said with no votes yet by the House and Senate on a bonding bill and a Vikings stadium bill stuck in committee, legislators have yet to act on his top initiatives. 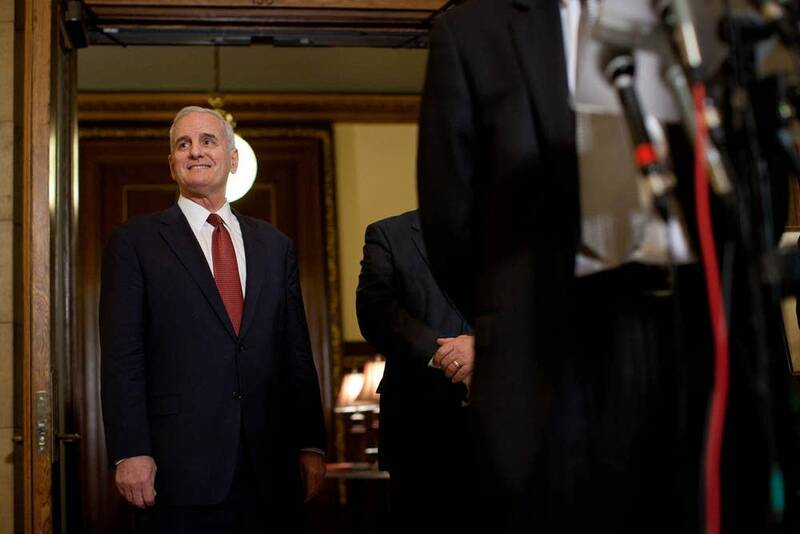 Republicans object to Dayton's characterization. While Dayton's push for a Vikings stadium and a bonding bill may be making the headlines, Republicans argue that their plans are tailored for small and medium-sized businesses. "He, in fact, has had a lot of jobs bills," House Majority Leader Matt Dean said. 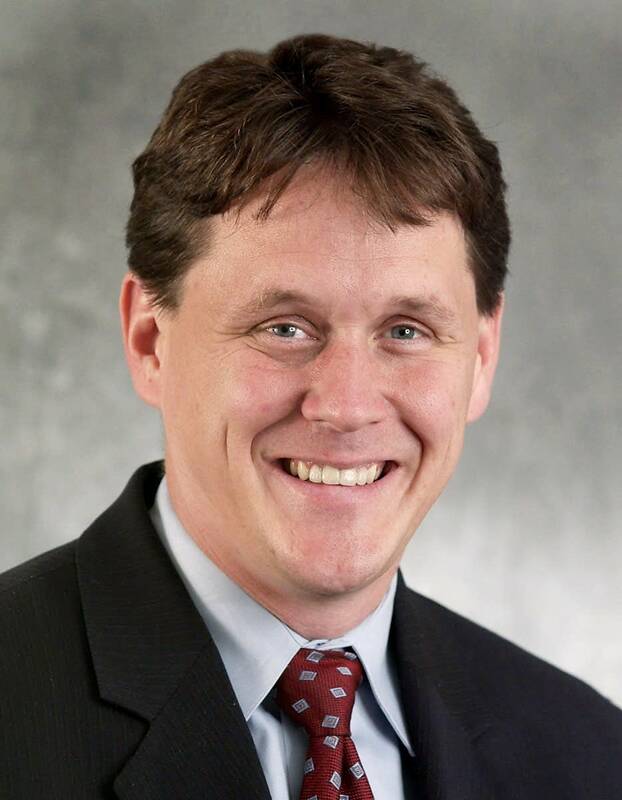 Dean, R-Dellwood, said the Legislature's focus has been on streamlining state approval of business permits, cutting the statewide business property tax and a variety of changes to how teachers are hired and fired. "Maybe he needs to look at them from a little bit of a different angle, catch them in a different light to see that actually there are jobs bills in front of them," Dean said of Dayton and his administration. "They're just not spending government money, so that might be what the problem is." Dean said Republicans are not going to pass a bonding bill until Dayton starts signing a few of their proposals. That could make for few legislative accomplishments this year. Democrats in the Legislature are already criticizing their Republican counterparts for accomplishing little this session. 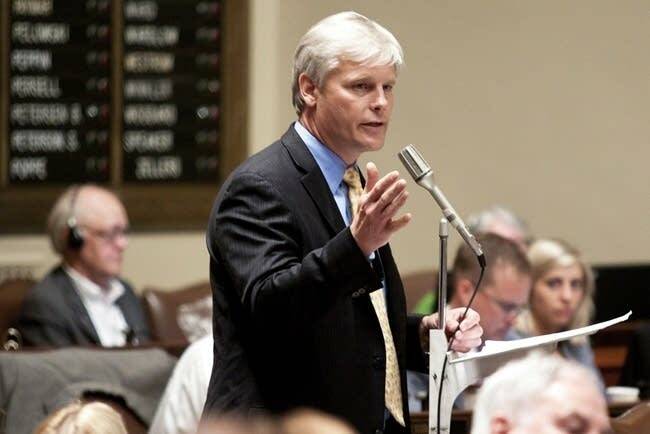 House Minority Leader Paul Thissen said Republicans have been focused on controversial issues like requiring people to show a photo ID to vote instead of job creation bills like the bonding bill. "The clock continues to tick and the way we can avoid another do-nothing session like we had last year is to get some of these priorities taken care of when we return from the break," said Thissen, DFL-Minneapolis. 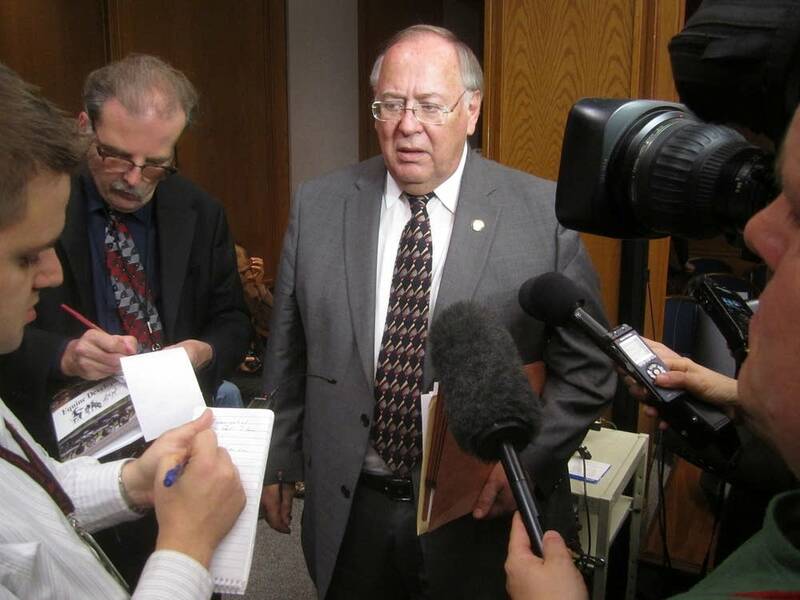 Senate Majority Leader Dave Senjem said he considers a tax bill a top priority this session. The measure lowers the statewide business property tax, the so-called marriage penalty tax and reduces other business taxes. Senjem, R-Rochester, said he'd like to see a bonding bill pass, but it's not as important as the tax cuts. "That's what we've talking about all session," Senjem said. "That's what we talked about frankly going into the 2010 campaign. It's all about jobs and the economy. To the extent that we can do that, I think the state is better off for it." Both sides agree it's all about jobs and the economy. But they seem to be unable to reach common ground on what to do to improve things. But that may not be so necessary. Minnesota gained nearly 28,000 jobs between February of 2011 and February of this year, possibly showing that the actions in St. Paul have little effect on the overall economy.